All summer you’ve been watering, cutting, trimming and feeding your yard in the hopes of having the greenest plot of land in the neighborhood. So what should you do to get your lawn in shape for the cool breezes of autumn? These six steps will help you get a head start on the colder weather. 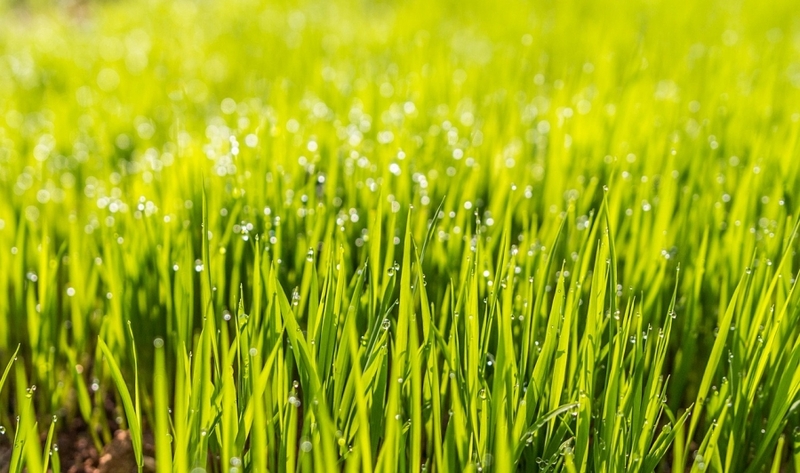 If you live in a climate with cool-season grass, fall is the perfect time to aerate your lawn because the air is cool and the soil is still warm from the heat of summer. The earlier you can do this, the better the results will be for your yard. Depending on where you live, September or early October is the best time to tackle this project. You’ll pay around $120 for lawn aeration. Throughout the summer, you’ve gotten into the habit of mowing weekly. But if you have cool-season grass, it’s time to start cutting back on the number of mowing events each month. Generally speaking, every other week should be your maximum. If you have too much leaf coverage on your yard, you can mulch those up, but remember to leave your cutting deck high so you aren’t cutting off too much of your grass in the process. There are two approaches you can take when dealing with falling leaves. At a bare minimum, you should remove any fallen foliage within seven to 10 days because it blocks sunlight from reaching your grass. But, if you get a relatively light leaf fall each autumn and you own a strong mulching mower, you can turn fallen leaves into a composting gold mine. If you mulch your leaf fall on a regular basis — at least once a week — you are recycling the nutrients back into the soil. If your leaf pile is too big, consider hiring a pro. You can expect to pay about $310 for professional leaf removal services. If you have an underground sprinkler system to help you keep your yard green all summer, it could be the biggest threat to your utility bill and soil during the winter months. If you fail to blow out your underground system, the water left in the pipes could freeze, expand and burst the pipes. This could lead to a water leak in your yard that could compromise the integrity of the soil and cause serious damage. If you live in a cooler climate, it’s important to winterize your sprinkler system immediately.